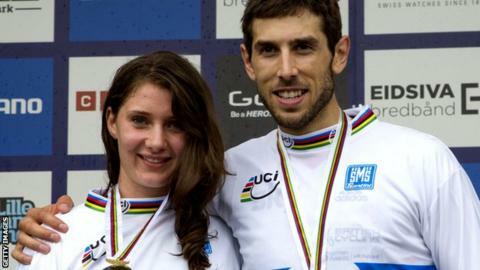 World champions Gee Atherton and Manon Carpenter will lead a formidable British team at the mountain bike world championships later this month. A 29-strong team will travel to Andorra for the UCI MTB World Championships from 31 August to 6 September. Fellow Britons Josh Bryceland, Rachel Atherton and Tahnee Seagrave could provide the strongest opposition. "We're enjoying a golden age of downhill racing in this country and I hope to see this continue at the worlds," said Shane Sutton, British Cycling technical director.